Here we are at the end of yet another week, finally winding down and getting ready to enjoy some of those video game thingies we seem to talk about so much. As always, team Nintendo Life has gathered around to discuss our gaming plans for the weekend, and we'd love for you to get involved in the comments and poll sections below. Enjoy! Amazingly, for the second weekend in a row, I'll be spending my time actually interacting with other, real human beings. I have a friend staying over for a while, so I imagine any gaming time will naturally be spent playing the Switch's top multiplayer hits. For us, that's usually things like Mario Kart 8 Deluxe and Super Smash Bros. Ultimate. Sure, they're the boring choices, but sometimes you just can't beat Nintendo's biggest and brightest. This weekend, I’m picking up the full Labo VR kit and pretty much devoting all of my time to that. I’m a sucker for buildable toys - LEGO was my jam growing up - and considering each Toy-Con takes at least an hour to make, I should be set. I’ll also be having friends over the entire weekend, so I’m sure there will be some Mario Kart 8 Deluxe, Splatoon 2 and Smash Bros. Ultimate thrown in as well for good measure. 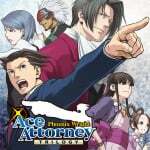 When I’m not playing Labo VR, I’ll be working on a few cases in the Phoenix Wright: Ace Attorney Trilogy. To finally have this series on my television is a dream come true. That's it for me this weekend. Hopefully some Smash and Tetris 99 Grand Prix for me! The great Octopath travlers, almost 250h in cant get enough of it! Warframe. I might play some Odyssey as well since I watched the linked together and that got me in the mood. Maybe some MK10 or injustice 2 but mostly Warframe. Wow! Seriously? 250h. In Octopath Traveler? More Labo VR here. The Blaster is a really cool little piece of tech! I brought it to a friend's house and let everyone there try it out. They all had a blast playing the alien shooting game, and I dipped my toes in the VR Garage.. It was so overwhelming, I'm Going to have another look when I wake up. Overall, it's been really fun, and I hope Nintendo truly runs with this idea, adding more support. I can't wait to pick up the camera/elephant pack next! Playing the usual FFXIV, along with Yoshi, Gal Metal, Hearthstone, and Tales of Berseria (Steam). My Basic Labo VR set will be delivered on Sunday while I'm at work. Hellblade. Will finished it tomorrow. Just wished they made a better icon, it looks ugly in the Switch menu. Please release a patch for the icon. Walking very cautiously through the nightmare landscape of Hellblade, using magnesis to lift partially submerged treasure chests in Hyrule, and conjuring bounce pads in QUBE2, advancing through the puzzle-strewn, color-saturated fantasy wonderland of Trine 2, and feeding moons to that hungry hungry Odyssey. @DenDen I have to ask, what are you doing with your 250 hours? I mean, I really liked Octopath Traveler, but I 100%ed it in about 90hrs. 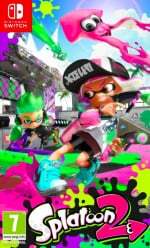 Are you doing speed-run replays? I'm still working my way through Persona 3 Portable (less than two weeks till the Persona 5 S announcement...) - that is one long, long RPG. In what I think is the final month, though, so shouldn't be too much longer. Superb game, and can't wait to play 5. Hopefully. Aside from that, I need some action, so I'm going to go back to Axiom Verge on Switch, or maybe a little Castlevania Dawn of Sorrow on my new 3DS. Been playing a bit of Dead or Alive Xtreme 3 Scarlet. Thinking of starting something new as well though. Maybe Hellblade but still trying to resist the temptation of buying it for now. 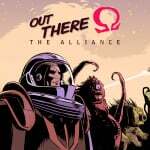 Out There, Gungeon, and Civ 6 this weekend for me. Might finally pop on Minecraft - owned since release, never played lol. And as much as I want Ace Attorney trilogy, I’ve already got it on 3DS.... might double dip later when not so broke. I love having a kid, but I do miss having the time to play all these games! @Zuljaras Odyssey is awesome, I really need to push on with that game at some point. For me this week will be all about trying to finish Half Life 2 which by chapter 10 has started to wear a bit thin. I may revisit some Ace Attorney on Switch and I want to finish Senua at some point soon to stop me being tempted by it on Switch! @Medic_alert both Origins and Odyssey are amazing! However monday I am also getting Wolfenstein 2 for the PS4 and need to play that as well. @Zuljaras I finished origins DLC and all. 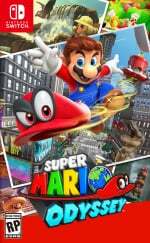 I stopped with Odyssey because of, well.. life and got distracted. I hear you about too many games. Wolf 2 was my first X1X game and I had fun with it although I'd argue it isn't without its issues. I'm subscribed to game pass and there is just a mj d blowing amount to play. I'm trying to make myself finish a game before starting others but it isn't working! 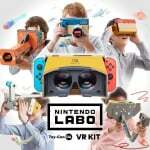 I can whole heartedly endorse the Labo VR blaster. 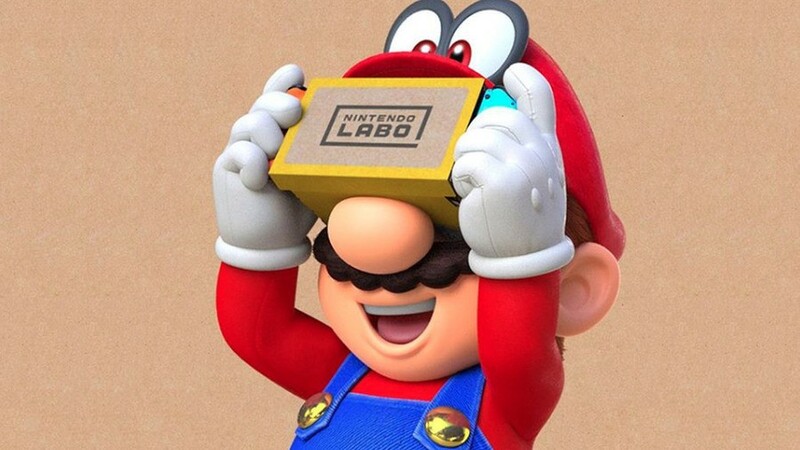 I'm normally made Ill by even fps games, but the concept of Labo VR where it doesn't last too long ang you can look away is really good for me- and I can leave my glasses on. It may not be true VR, but it's Virtual VR with fun Nintendo games on it. Great stuff. I've started playing Enter the Gungeon again. Love it but I'm terrible at it. Until last night I'd never made it past the 2nd boss, despite playing it for 40 hours. Last night I done it though and made it pretty far on the 3rd floor so I'm hoping I can continue to progress. Lots of Tetris 99! But on my sons Switch, try and earn him some tickets in the Grand Prix. Downloaded Wolf 2, trying to finish DOOM on Ultra Violence before I boot it up though. 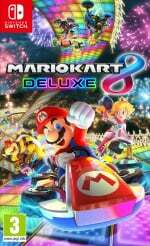 My son will be playing Breath of the World I’m sure, got him the DLC last weekend, and I’m sure I’ll have a race or two on Mario Kart 8 Deluxe! Working at the minute though... have a good weekend everyone. Restarted BotW this week. Was only a dozen or so hours in anyway and hadn't touched it in about 6 months. Usual runs in Isaac, more Hob and perhaps a little more sp Towerfall. Contemplating double dipping on Rayman Legends at the current eshop price. Continue the storyline and have got 2nd badge. I choose this Greenish Envy color of Dr. Coyle for Party Crash Event. @Medic_alert I would've bought it for my 1X but I started the trilogy on PS4 and I am going to finish it on PS4. Haha, yeah I hate switching consoles half way through a collection too! Hob! Hob! Hob! That game is fantastic! I love the visuals and subtle sound effects and how it tells a story with no words. It is a game I can't stop playing but I don't want it to end. And I am still working on Trials Rising, Horizon Chase Turbo, etc . . . I took a leap of faith and bought V Rally (physical), yesterday. Twitchy yes, but otherwise brilliant racer for the Switch. Detailed car settings and race replay was what sold me. Definitely getting in some Super Smash Bros Ultimate and Pokemon Let’s Go Pikachu for Switch. I might throw in Capcom Beat Em Up Bundle as well. Dead or Alive 6 on PS4. I've already played a ton of Labo VR, and that's not counting the construction of everything. It works surprisingly well, and is in my opinion on par with the Playstation VR headset. I'm also gonna play absurd amounts of The Sims 4 on PC this weekend because I totally haven't put 230+ hours in that game... And also possibly some retro games since there's a retro game fair later today and tomorrow there's a giant yard sale just a few streets away from where I live, so here's to an attempt to finally buy a Dreamcast! Sekiro on PS4. Brilliant, but I definitely will not be completing it. Seems even harder than other From games. Might relax a bit with some Lego City Undercover on Switch. I didn't really feel satisfied ending my Mega Man marathon without beating one of childhood favorites, so I went out and bought a Japanese copy of Mega Man & Bass for the Super Famicom to finish off what I started over a decade ago. The game has some real bad enemy placement, particularly as Mega Man and its idea of teaching you a mechanic before throwing you off the deep end is to simply give you a respawning extra life before said section, which is an incredibly clumsy way to teach players through the level design. Still, I found the actual platforming to be perfectly servicable for most of the game, I enjoyed the extensive item shop and that satisfying feeling when you beat a tough stage still rings true in this title as well. Plus the game is an incredible technical achievement for the SNES' graphical capabilities. After playing through this game as both Mega Man and Bass, I'd say my experience was a fairly pleasant one considering I went in expecting to hate it. I'd still replay any of the numbered entries before this one, though. Since I’ve finally finished HK I’ve been playing Yoshi. Game is more challenging than I anticipated- some of those red coins are tough. Every time I play it I’m astounded by how ... well cute it is and how much thought and love went into each level. Im waiting for other releases to come out so, I’ll be playing insurgency Sandstorm and escape from tarkov. Decided to return back to NSMBU Deluxe to play NSLU, if Mario Maker 2 is good enough which I think it will be I won't particularly want to return to other 2D Mario games. Hellblade has entranced me completely so I’ll be saving that for late night, I’m also super into Sonic Forces which I got on sale and is SUPER fun. Yep, I said it. I’m playing Darksiders Warmastered Edition and I’m loving it!! It’s very Zelda/God of War. Hack and slash with some puzzles to solve. I’m 9 hours in and it is great fun! I also re-purchased X2 Torna the Golden Country after selling it because I’m craving some Xenoblade. May also get some Yoshi time in. If push comes to shove I’ll pickup Hellblade. Warlock Of Firetop Mountain and I'm getting better, making progress, enjoying the game a lot as it takes me back to childhood Fighting Fantasy books! Horizon Chase Turbo How have I sunk more time into this than into the magnificent Forza Horizon 4? Portable is why that is. And I'm still loving it. Just finally after great efforts I've unlocked Hawaii and picked up some Japan silver cups! Later, at nightfall I'll play more of the absolutely splendid truly criminally underrated gem Nights Of Azure 2: Bride of the New Moon. It's a wonderful game to play at night, a great wind down for bed. I’ll be squeezing in FFIX when I can, just about to enter the final dungeon. It’s been a lovely blast of nostalgia and replaying as an adult has given me a new appreciation of the themes. This weekend, planning to play Shining Resonance Refrain on Switch, and Yoshi's Woolly World and Wii U. Playing the latter again as I'm hoping to get Yoshi's Crafted World soon. Still working on FFVII. I’m about 25 hours in and the story has been taking some wild turns. Final Fantasy 10/10-2 is out already in Japan on Switch, so I jumped into to. Also Hearthstone has a new expansion and format change. Tetris 99 a bit and caught some shiny Bagon in the Pokemon Go community day. I also picked up Sushi Striker on sale, and it’s good fun so far! Since Easter/Spring Break is next week for me, I’m gonna try and beat at least one game on my backlog. About half way through A Link Between Worlds which is amazing. I might even like it more than Ocarina. Also just bought Hellblade and had a quick go - it is stunningly beautiful. is anyone picking up dragons dogma when it releases on switch? Labo VR, Phoenix Wright, and maybe Fortnite. Also, doing my mother’s taxes. Don’t forget, fellow US readers, Monday is tax day. Don’t be Yoshi. Tetris 99. Up to 50 points in the event. Best finish this event is 8th. Stressful! Im grinding for perfect gear sets, all lv 99 . And doing some challenge runs. Busy with finishing the game solo with therion. Did you get FF X/X-2 Switch Asia version ? What with travelling, friends visiting, family get togethers and what not I've had no Switch time for ages. Said it before and I'll say it again, Horizon Chase Turbo. 1. Super Mario Bros Lost Levels. But I really won't be playing anything this weekend, as I'll be packing, moving, and working through it. On my next day off, I'll be going back to Crypt of the Necrodancer and FFXII: The Zodiac Age. I...I can no longer resist the pull. It's been calling to me ever since I picked it up over the holidays out of price inflation fears; fears that were justified. I will finally break out...my SNES Classic. Will I main Chun Li in Street Fighter II Turbo: Hyper Fighting? Stomp Goombas while revisiting Super Mario World for the umpteenth time? Try out the original F-Zero for the first time in living memory? Throw barrels in the original Donkey Kong Country for old time's sake? Who knows. I've only played a little over a third of the games on offer here previously, but there is some nostalgia at play. The only thing that would complete my nostalgia train is if the SNES Classic had shipped with Super Mario All-Stars. ...Oh, and I might shove in some more Bravely Second this weekend, as well as participate in the Pokemon Go Community Day today. I’m still enjoying Yet Another Zombie Defense HD. I’ll be playing plenty of that, and Monster Hunter Generations Ultimate. Still playing with Yoshi on the Switch!Absolutely loving this little blighter and may go hunting for more of his games when I'm done. Assassins Creed Origins on the Ps4 is still ongoing.I'm about 70 hours in and yet to even uncover the whole map. I'll also be playing the fantastic Final Fantasy XII and Far Cry New Dawn. 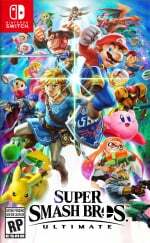 Super Smash Bros Ultimate, Travis Strikes Again: No More Heroes, Odallus, Punch-Out!! (Gotta face Mr. Dream since I only fought Kid Dynamite lol), and Tetris 99 since the Maximus tourney is going on. I'll give a special mention to a game that "might" come to me in the mail from Gamefly today — Ys VIII: Lacrimosa of DANA. I've been waiting to reunite with ol' Adol Christin again, AND is an Action RPG. Good gaming this weekend. Hope everyone is having a great weekend! I am on daddy day care today, but once little one is in bed I am onto my new addiction- fighting games. Randomly watched a YouTube vid of some old SNK games and have now bought Garou, last blade 2 and samurai shodown... They are all great fun and making me want a fight stick!! Searching for koroks in Zelda Breath of the Wild and exploring whenever my curiosity leads me. Also collecting materials to upgrade the clothes, armor, tunics, etc. It's impressive that I am still discovering new chest that I previously didn't noted, as well as new koroks. @SamusLv7 once I got the shrines and the DLC out of the way that was enough for me. But damn that game has so much to do. I never finished the trial of the sword though. I should go back and complete it. Final Fantasy IX on Switch. Trying out the Playstation Final Fantasies for the first time as a life-long Nintendo-only gamer has been a whirlwind of fun! I just ordered FF X/X-2 HD & FFXII as well, looking forward to those titles soon! Still exploring Hollow Knight and finally got Nintendo Online (as it was free with amazon prime!) so going to gave a "few" games of Tetris 99. I've recently been playing Breath of the Wild from the beginning a couple times. I started from the beginning on a random account I created on my switch and couldn't believe how much I love playing the opening on Hyrule Mesa, and then going wherever I want once I get the paraglider from the king. Then I played it again on Wii u (I have both versions because I couldn't get a Switch right at launch and after a couple weeks broke down and bought the Wii u version, then later of course bought the smoother Switch version). The frame drops are noticable, and the game looks softer, but the lower resolution doesn't hurt the experience. It makes it look more like a dream to me. Anyways, BotW is the best game ever, and I can't believe how fun the beginning of it is! I also can't believe how much I like Labo VR. I've got the intro set, but haven't built the blaster yet, just the goggles. I spent hours last night playing all the games, watching all the videos (which should be at a higher frame rate! ), and enjoying the writing of Doc and the kids! People should have low expectations, it's blurry, but damn it works and it's fun. I think I like it better than PSVR, even though I love Wipeout Omega Collection, Tetris Effect, Rez, etc. Why Sony hasn't released a remastered Jumping Flash in VR is beyond me. It would be flipping awesome! Anyways, I hope Nintendo releases something like Jumping Flash on VR. That would be a dream come true. I'm also playing Tetris 99(already got the 100 point trophy, but won't be in the top 9,999 let alone 999! 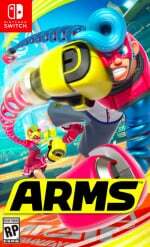 ), Arms, Sky Force, Advance Wars Days of Ruin, Octopath Traveler, Box align, Agartha S, Neko Navy, Horizon Chase Turbo, Anger Force, and Yoku's Island Express. Wow, that's a lot! Blaster Master Zero and Enter the Gungeon. @Wazeddie22 is it your first Yoshi game? I absolutely adored Woolly World On Wii U and Yoshi’s Island on SNES is one of my favourite games of all time. Woolly World is on the 3DS too. I’ll get Crafted World next month, I hope! @ViewtifulJotun a few... it’s extremely addictive I must warn you! Enjoy. @Lionyone Warlock of Firetop Mountain was my first ever book in that series of books. 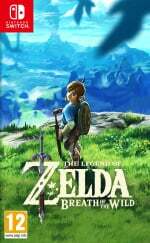 The game is in my wish list but I am cautious as I have not seen any reviews of the game and I wouldn't want it to be poor and ruin my memories of the books I played. It was those books that led me to Gamesworkshop Warhammer Fantasy Roleplaying, HeroQuest and Warhammer Quest. Still playing Warframe. This game takes up all my allotted gaming time. Deltarune, DoAX3 and the Japanese release of Peach Ball. I just spend an hour or so building the VR Googles and fooling around with them, and I'm quite unsure what to think about the whole affair. Building the Googles was actually surprisingly enjoyable, with Nintendo putting their unique touch on the whole process and the kit itself felt very quality'ish, as far as cardboard goes anyways. The actual experience from a technical standpoint was also surprisingly good imho. The whole thing just works, it's not going to blow anyone away anytime soon, but given the investment it provides a decent entry-level experience. and b) the VR Garage games are not exactly worthwhile, as they barely qualify as Minigames. I know this is by design, and I haven't build the blaster yet and I'm really curious to see how Mario and Zelda pan-out, but looking just at those Minigames, I would honestly say, it's not worth the money, time and bother. Well yesterday I played Xenoblade Chronicles 2, except I'm stuck right now. I hope I can get unstuck next time I play it. It's not this weekend, so I'm cheating a bit, but I finally beat Smash Ultimate's Classic Mode with every character around a week ago (not in one whole sitting, just to clarify). Labo and Yoshi for me, maybe some Hob if I get time. Etrian Odyssey Nexus and SMT Devil Survivor are in heavy rotation on my recently upgraded 3DS XL. For Switch, it’s my boys 5th birthday and he loves Lego. So along with a trip to Lego Land one of his presents is the Ninjago game. Not bad actually, the slightly heavier emphasis on combat makes it a bit closer to the hack n slash games I love. @MJInnocent Yep my first ever Yoshi game I really don't know why I have never even looked up other games because the character himself is adorable and I always played as him in Mario Kart lol.Woolly World really does look great!Unfortunately I never owned a Wii U but I do have a 3ds so I may have to buy it on that...so long as they don't then decide to port it to Switch.. The Legend of Zelda: Breath Of the Wild on my Switch. @Wazeddie22 that’s why I mentioned 3DS I suspected you may not have a Wii U! I loved that game from the first screenshot I saw years ago in Official Nintendo Magazine! I hope you get to try it! Finished Kamiko last weekend. Been playing a lot of Bot Vice since it launched on Thurs. Great game but holy heck is it hard. Want to go and finish Undertale if possible this weekend. Afterwards I'm hoping to be able to play through Bastion and Transistor. @Lord I'm prob one of the few who haven't touched the online yet with MHGU. I want to beat all the single player missions before I touch multiplayer, lol. I’m playing adonyne. Great cheap indie game. It’s like a 8 bit Zelda with Chrono trigger vibes. @Anti-Matter No sorry, European version! Elli, Hob and Rive. All three games are such gems and I bought them all because I had so much Goldpoints left. One of the best eshop-shopping-weekends ever. If the weekend just could stay a couple days more. Just Labo VR and Enter the Gungeon for me lately. I'd be playing some more OnRush, but, I hit max rank a few days ago and there's nowhere to go now but down. On the Switch it'll be Yoshi's Crafted World and Ace Attorney Trilogy. Crafted World is pretty simple but it's also the most enjoyable Yoshi game I've played since the original Yoshi's Island and Yoshi's Island DS. Played the Ace Attorney games for the first time years ago when Capcom re-released them on the Wiiware service and, though those ports were considered shoddy, I loved them enough that I had to buy the trilogy for Switch. These are some of my favorite games of all-time. Awesome characters and story. Other games I'll work into my rotation over the weekend are Devil May Cry 5 and MLB The Show 19 on PS4. I decided this weekend to play the original Metroid trilogy on 3ds (Substituting Samus Returns for the GB version of 2, since the remake is soooo amazing). Metroid 1 is a hard game to revisit, but still wonderful in a lot of ways. Going from Samus Returns to Super Metroid isn't that strange, actually. In some ways, it feels just right. Let’s see....it has been a 1st party platformer weekend. 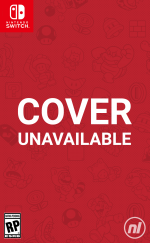 I finished all the courses on Yoshi’s Crafted World, played through a bit of Mario 2 Japan, beat Mario 2 US, and played a few levels of Yoshi’s Wooly World and Yoshi’s Story. Tomorrow i’ll probably work on New Super Luigi U and continue my journey in Blaster Master Zero 2. Not much gaming for me this weekend, but I'm currently playing Botw champions ballad, Enter the gungeon, Crypt of the necrodancer and Thumper. I finally finished Pokémon Let's Go. Interestingly when you go back and do the elite 4 again they use different, higher level Pokémon. I'm still playing around with the dolphin emulator on Android as well. I'm about 10 hours into Phantasy Star Online. Only thing I'm playing this weekend is Super Dragon Ball Heroes which didn't make the list somehow even though it was the tops selling game in Japan. Just Mario and Luigi Bowsers Inside Story for me. @Morrow I find to keep it a level playing field, I do both online and offline at the same pace. Final Fantasy VII, Enter the Gungeon, GRIS, The First Tree, and some Tetris 99. Nelke is really the new Civilization with me. You think 100 turns per playthrough is not much? Over 10 hours in, I'm just nearing the 20th turn. As it goes with simulation games, there's a separate kind of fun in jumping from menu to menu, checking and rechecking everything, making sure you have enough materials to facilitate the sales and enough OTHER materials for the commissioned synthesis of these aforesaid materials, enough production forecast to meet a request preferably within one turn, enough patches of agriculture to cover all the available produce options at least to some extent, then enough action gauges left on holiday to pay a few visits AND advance closer to that area one subtask requires you to unlock and cover (and you may well be running against the clock imposed by your own progress on the main task since there's no telling if subtasks will carry over and I don't want to take chances). And the character interactions, from the endearing slice-of-life antics to solemn dramas where there's no immediate compromise between effectively erasing a neighbouring settlement from the map (if they decide to merge with your town) and leaving it to wither away on its own otherwise - they help season the meal as well. I've been drifting away from early intentions to get the entire season pass (ironically, it's not even the price as much as extra 3.4 Gb like in FEW - but where FEW had the full DLC package in 3.3 Gb, here the aforesaid volume is alternate costumes alone - and incidentally, they form the bulk of the SP price, too), but you bet I'll be investing in the extra stories when those finally arrive this summer. @Lord That seems fair. I might try to do that.